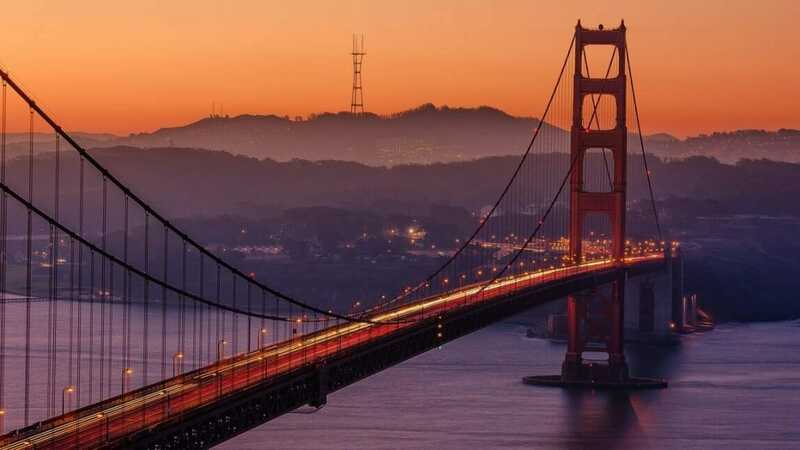 San Francisco has plenty of performance, culture, and historical treats in store for you and your group as you embark on this 3-day action packed adventure through the Bay area! Take in the best, most beautiful, and busiest spots in San Francisco as your performance group takes in the culture of this entertainment hot spot. Explore the iconic Golden Gate Bridge and parks, set sail on an information packed cruise, even spend the evening shopping before hitting up the greatest performance venues and events on your second evening. Choose between options such as the San Francisco Opera, Ballet, Symphony, or Playhouse! You’ll even see the top natural wonders of the area, Twin Peaks, as well as the culturally rich Chinatown. End your vacation with a performance filled stop at California’s Great America as you scream, sing, and swim your day away! Golden Gate Park - Welcome to the 1,017 acres of horticulturally diverse and picturesque public space known as the Golden Gate Park. This veritable oasis serves as a welcome center and relaxation spot for one of California’s, and America’s, top icons, the Golden Gate Bridge. Once a land full of windswept sand dunes, now the Golden Gate Park serves as a spot to reconnect with the natural world while taking in the typical California scenery. Within this large park you will find gardens, playgrounds, lakes, picnic groves, trails, monuments, and cultural venues and event spaces. There is definitely something for everybody in your group with activities inside including horseshoe pits, disc golf, tennis courts, archery ranges, angling spots, and the famous Herschell-Spillman Carousel. If you would like to take an official tour of this park but have spent all your energy playing a round of disc golf or tennis, have no fear, the Segway Golden Gate tours are here! These 2.5 hour tours include 30 minutes of training plus a fully narrated tour on all the major trails and roads in the park. On this tour your group will learn about the park history, WWII’s effect on the Japanese Tea Gardens, exactly how the park transformed from sand to lush landscape, as well as find hidden spots otherwise inaccessible like the hidden lily pond and the fern grotto! Golden Gate Bridge - A wonder of the modern world, the world’s longest suspension bridge, and one of the most beloved bridges in the world are all descriptions that may come to mind while visiting your next stop, the Golden Gate Bridge. This bridge was thought of in 1846, after Captain Fremont named the expanse "golden gate" after the Golden Horn in Byzantium. After his respectful nickname caught wind, as well as the influx of California’s population due to the gold rush greatly increased, the bridge was finished in 1937, finally connecting the mile wide by 3 mile long Golden Gate Strait. The 1.7 mile long suspension bridge connects the San Francisco Bay to the Pacific Ocean, more specifically San Francisco to Marin counties. On your 60 minute walk across your group will see the 746 foot tall towers, the sweeping main cables, the signature orange color, as well as the art deco styling throughout. It is a true sensory experience featuring color, light and sound that over 10 million annual visitors enjoy. Head over to the Bridge Plaza on the southeast end of the bridge to get the visitor experience with information, exhibits, and merchandise available. Also keep in mind that this American icon and engineering marvel tends to get chilly, especially in the mornings, so be sure to bring a jacket to fully enjoy this gorgeous giant! Red and White Fleet Golden Gate Bay Cruise - What better way to fully take in the San Francisco skyline than with a fantastic 2 hour cruise to the most important, historic, and popular points around the Bay. Created in 1939 for the Golden Gate International Exposition, the Red and White Fleet Golden Gate Bay Cruise will allow your group to discover Alcatraz, the Golden Gate Bridge, and much more San Francisco history. A personal headset with 16 different language adaptations is available for every member of your group to get a personally narrated tour of the sights so you don’t miss a thing. You will depart from the Fisherman’s Wharf, see North Beach, the swimming clubs of Aquatic Park, historic vessels at Hyde St. Pier, San Francisco National Maritime Park, Fort Mason, the army used Presidio and Crissy Field, as well as the WWII USS Pampanito and USS Jeremiah O'Brien. The amount of history and information packed into this fun cruise is astounding, and you will even have the chance to see tons of local wildlife, such as seagulls, pelicans, sea lions, whales, and harbor porpoises. Get ready for a stunning cruise over 70 years in the making, complete with a full drink and snack bar, as well as gift shop, to complete your perfect cruise experience! Ghirardelli Square - Enjoy your evening at a true history and chocolate lovers paradise, Ghirardelli Square! Opened in 1964, this specialty retail and dining complex features over 40 unique shops and eateries, and is also considered the first successful adaptive reuse project in the country. Used for over a century with an impact/connection to over three different continents, Ghirardelli Square actually began as Domenico Domingo Ghirardelli’s Chocolate Factory. The Italian rooted Ghirardelli travelled from Cape Horn to Peru in search for the finest chocolate and coffee merchandise, taking his findings to the Gold Rush stricken merchant paradise of San Francisco between 1860 and 1895. In the 1960s the factory was sold and quickly repurposed into the latest in retail and fine cuisine, mixed with the flavor of old San Francisco every step of the way. You can actually still visit the original Ghirardelli Shop and Soda Fountain while here, as well as visit restaurants such as the Bluxome Winery, Kara’s Cupcakes, Lori’s Diner, The Pub, and of course, Ghirardelli Chocolates. You can also enjoy fine retail therapy, some of the most popular and unique shops including Helpers Bazaar, Jackson and Polk, Les Mechantes, and Mashka Jewelry. Every member of your group will love the opportunity to explore this San Francisco unique treat that is sure to satisfy their sweet tooths, as well as their shopping bugs! Pier 39 - If you didn’t get enough shopping and San Francisco exploring before, your group will love your last stop at the famous Pier 39! This beautiful 45-acre waterfront complex sees millions of tourists and locals every year, each excited to explore the 14 full-service restaurants, 90 shops and attractions, 5-acre waterfront park, and 300 berth onsite marina. At the Pier you will have the chance to break out and perform with your group on their visitor stage, or sit back and take in the many different street performances happening day and night. The sea lions here are what really draw in a crowd, migrating in progressively larger numbers from Seal Rock after the 1989 earthquake that shook this area, seeking more safety and larger resting areas. The most seen sea lions in a single day was 1,701, but any amount of sea lions is a spectacular view, not to mention the educational information the Marine Mammal Center volunteers on site! There are tons of fun activities to do here, but some of the must do activities here for your group include: eating fresh clam chowder from a San Fran bread bowl, getting lost in Magowan's Infinite Mirror Maze, taking an iconic Golden Gate Bridge or Presidio photo, and eating at the Fog Harbor Fish House. Twin Peaks - Begin day two of San Francisco adventure at one of the most breathtaking vistas in the city, Twin Peaks! The second highest duo of peaks in the whole city reach heights of 922 feet and provide the most fantastic Bay views, coming together to make this world-famous attraction. Originally this location was named Los Pechos de la Choca, or Breasts of the Maiden, by early Spanish settlers, a name easily seen in person once there! These two adjacent peaks provide postcard views plus a treasure trove of animal and plant diversity. Take advantage of the full 62 acre park’s coastal scrub and grassland communities, a great glimpse into the history of this area's hills and peaks before development and grazing took over. On a hike of the area you will encounter strong winds, a side effect of this prominent dividing point for the east and west facing slopes, also a dividing point for summer coastal fog. On a hike you will also see such native plants as coyote brush, lizard tail, and lupine, as well as the endangered Mission Blue Butterfly and brush nesting birds, rabbits, and coyotes. Visit the north peak, Eureka Peak for amazing 180 degree views of your surroundings, or the southward Noe Peak for excellent 360 panoramic views of the city, bay, and ocean (this point is very close to the geographic center of the city). Chinatown - Get ready for the quickest trip to the Asian continent imaginable, a trip to San Francisco’s impressive and expansive Chinatown! This specific Chinatown is the largest outside of Asia, as well as the oldest in North America. 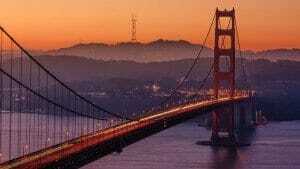 It is a top attraction in San Francisco, seeing more annual visitors than the iconic Golden Gate Bridge. Created in 1848 as an enclave for Chinese immigrants that retained its own customs, languages, places of worship, social clubs, and overall identity, Chinatown is an important and influential culture and history point for ethnic immigrants. Within the community you will find two hospitals, parks, social squares, post offices, many residences, herbal shops, churches, banks, hotels, and restaurants galore! When it comes to authentic Asian cuisine look no further, with every type of food imaginable from the area from Alibaba to Yuen’s Garden (there’s over 100 eateries total!) Take a photo next to the gloriously decorated 1970s Chinatown Gate, 1920s golden dragon decorated streetlights, or culturally important Sign Chong building while here, or head over to the Chinese Historical society of America or the Chinese Culture Center to get more authentic information and history. Be sure to take advantage of some of the most fun, true Asian shopping experiences along the live-market-dotted streets as well, where haggling is expected and welcomed! Exploratorium/California Academy of Sciences - Next your group will have the tough choice of going to the San Francisco Exploratorium, a celebrated museum of science, art, and human perception, or the California Academy of Sciences, an aquarium, planetarium, and national history museum all under one living roof! The Exploratorium allows guests to follow their curiosity and ask questions, the easiest way to find amazing moments of discovery, learning, and awareness about important worldly knowledge in their eyes! You will have loads of fun while exploring the hundreds of interactive exhibits, websites, films, workshops, camps, and nightly events which explore such fun and unique science topics such as bread crust science, martian snowflakes, subzero gardening methods, and Mayan monuments. The Academy of Sciences is a renowned science and education institution dedicated to exploring, explaining, and sustaining life on earth. Here your group will find scientific literacy and a passion to protect biodiversity. Take a tour for an intimate look at the animals (38,000 within the aquarium alone), scientific collections, green building rooftop, and over 160 years of history and scientific research on the planet Earth. Both options are chock full of the most fun and astounding scientific discovery and information, so choose your learning experience and get ready for hours of exciting exploration! Evening Performance (choose between San Francisco Symphony, San Francisco Opera, San Francisco Ballet, San Francisco Playhouse, or the Berkeley Repertory Theatre.) - End the night with your performance group in California performing arts heaven as you choose between the most highly visited, respected, and talked about entertainment and performance events throughout the city. Your group can listen to the San Francisco Symphony at Davies Symphony Hall and hear the amazing acoustics everybody raves about, catch a modern opera production like Sweeney Todd by the San Francisco Opera, or maybe head over to the War Memorial Opera House to catch a neo-classical or contemporary production by the San Francisco Ballet! If you’re in the mood for a dramatic production look no further than the San Francisco Playhouse, a performing arts venue that gives guests an intimate, edgy, and fun production experience every time, with topics of performance varying from love to war to to sci -i! Last but not least, your group can also take a quick trip to Berkley’s two downtown stages that are part of the Berkeley Repertory Theatre to catch some high class and well performed productions by the students of Berkeley and sometimes Yale. There are plenty of great options to choose from nightly in San Francisco, ensuring that nobody in your group will walk away disappointed this evening! California’s Great America - Spend your last glorious day in San Francisco at the Santa Clara amusement park, California’s Great America. This theme park opened in 1976 under the Marriott hotel chain name and has since then grown into an independent park of over 100 acres, including 58 rides and attractions, 8 coasters and 3 water rides! If you’re looking for thrill look no further, with rides such as Flight Deck, the Vortex, and one of the top ranked wooden coasters in the nation, Gold Striker, California’s Great America has you covered! Fast paced fun not your speed today? Try the family friendly Carousel Columbia, Barney Oldfield Speedway, or always fun and entertaining Planet Snoopy. You can also cool off from that hot California sun at Boomerang Bay, the premier water park that features 13 slides, 3 rides, and a heated lagoon and lazy river adventure. Anywhere you look throughout this park you will find live entertainment, with nightly special events such as concerts, karaoke, ice shows, Peanuts live shows and parades, and firework shows. Work up an appetite here and enjoy the many cafes, concessions, candy, cool refreshments, and California style cuisine! Make sure you stop for a picture with Charlie Brown and the gang before you go, and if you want truly fine food head over to Maggie Brown’s for the best fried chicken in the Bay area!